Increasingly, we can build new bridges between related fields of education. This makes it possible to use techniques that were originally designed for one specific area of teaching, in others. An example of this can be, on the one hand, the teaching of audiovisual translation and, secondly, the teaching of foreign languages. 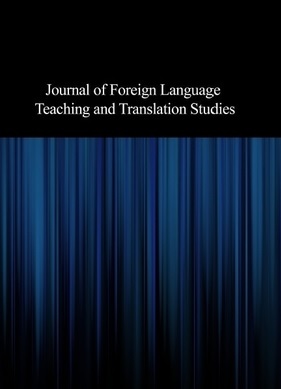 We can find instances of this possibility in recent and noteworthy works in which, for example, the application of subtitles to learn a foreign language is explored. Thus, along the same lines, the main objective of this article is the search for other possible avenues of connection between the two areas mentioned above, taking advantage of new technologies and of the tools with which they provide us. Our starting point will be audiovisual translation teaching and the use of software programs such as Windows Movie Maker and Subtitle Workshop, to later transfer them to the second language (in this case, English) classroom. In the first of these contexts, both software programs allow for, among many other possibilities and respectively, dubbing and subtitling simulations in class. On this occasion, our intention is to show the potential of the aforementioned software in the English language class, but not for interlinguistic purposes, as in the case of dubbing and subtitling into another language, but for intralinguistic ones, as in the case of postsynchronisation and of subtitling into the same language.